Autodesk will be the primary sponsor of the No. 00 Ford Mustang driven by Cole Custer and fielded byStewart-Haas Racing with Biagi-DenBeste in the NASCAR Xfinity Series for the Nov. 3 race at Texas Motor Speedway in Fort Worth. 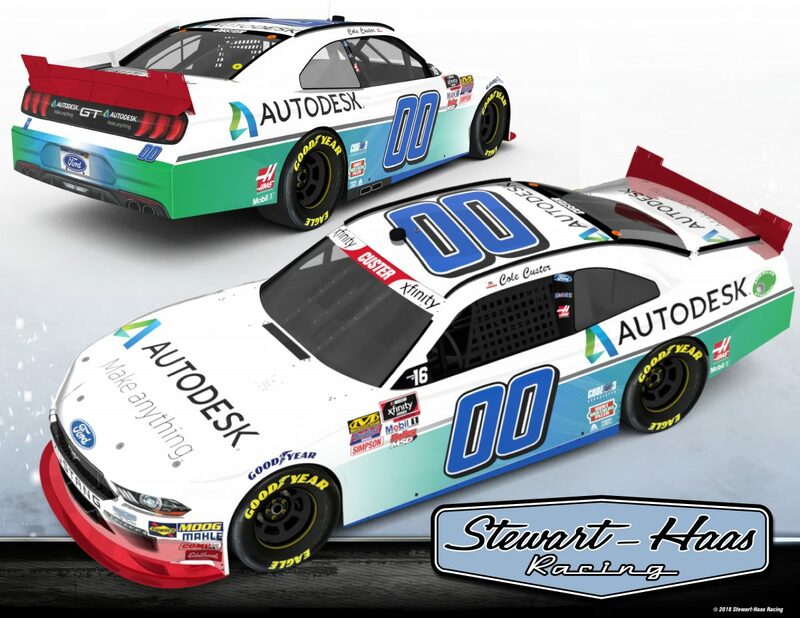 While this will be Autodesk’s first appearance on a racecar fielded by SHR, the software company has played a significant role in SHR’s success this season, which includes 12 victories across the Xfinity Series and Monster Energy NASCAR Cup Series.